This committee shall interpret the bylaws, receive, prepare and recommend proposed amendments of the bylaws to the Executive Board and Association members at the bi-annual meeting. This committee shall be responsible for reviewing and approving bylaws for the purpose of determining uniformity prior to use. This committee shall be responsible for the management and disbursement of Association funds. This committee coordinates fundraising events for the Association. This committee shall formulate plans to recruit and retain members of the Association; and, provide programs and activities, which stimulate the Shaw University student body to become active participants in the Association. This committee shall initiate program to encourage active participation of young (under 30) and future alumni. This committee shall facilitate effective communication to Association members and the community of events and programs. This committee shall be responsible in developing criteria and recommending students for scholarship awards. Interesting in joining a committee or project? 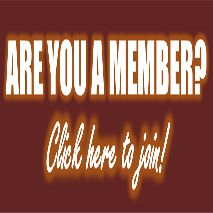 Complete the Join a Committee form.